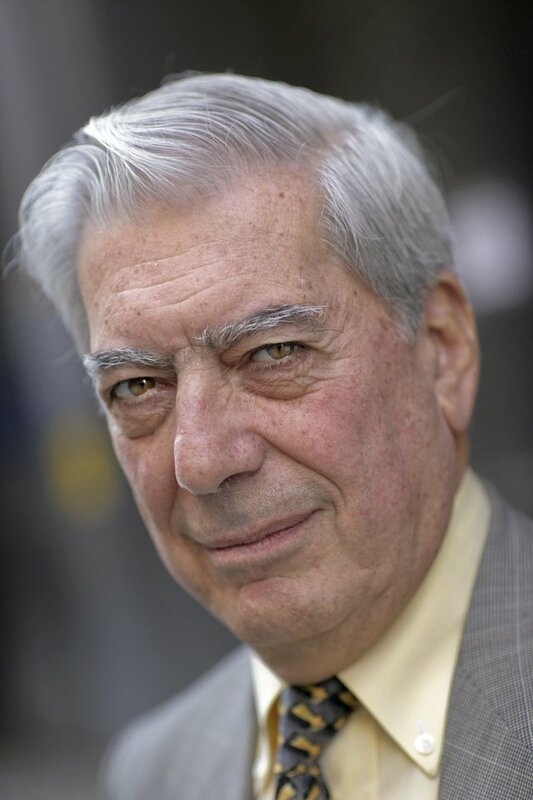 Overnight NZT it was announced that 74-year old Peruvian author Mario Vargas Llosa was the surprise winner of the 2010 Nobel Prize for Literature (beating out bookies favourites like Cormac McCarthy et al). What many people may not have yet realised however, is that the legendary and politically outspoken South American writer has plenty of crime (fiction) in his past. He may be at the literary end of mystery writing, but Vargas Llosa has certainly dabbled in the genre over his long career chronicling the trials and tribulations of those living in Latin America against the various power structures faced by individuals across the social spectrum. In fact some of his key works fall into the murder mystery or crime category - although like much of the very best of the genre, they are more about the characters and taking a hard look at society as a whole. Vargas Llosa's debut novel was THE TIME OF THE HERO in 1963, published in Spanish as La Cuidad y Los Perros (The City and the Dogs). Set in the Leoncio Prado Academy, a military academy in Peru which the author himself attended, it caused a huge stir on publication - the academy’s authorities burned 1,000 copies of the book in protest. The novel explores army codes and strict military hierachy, telling of a group of young cadets struggling to survive in a bullying and violent environment, a situation eventually leading to the murder of one of their number. The book was later filmed by Peruvian director Francisco Lombardi. Other Vargas Llosa novels that are quite crime-centric include DEATH IN THE ANDES and WHO KILLED PALOMINO MOLERO. Have you read any of Vargas Llosa's novels or essays, crime fiction or otherwise? Do you think we should take this 'literary' award to an author who has dabbled in crime as another sign that the literary vs crime fiction divide is ebbing (coupled with Peter Temple's breakthrough with the Miles Franklin Award). Thoughts and comments welcome.